TMK is one of the world’s leading producers of tubular products for the oil and gas industry with more than 25 production sites in Russia, the U.S., Canada, Romania, Oman and Kazakhstan. TMK’s customers are leading oil and gas companies, such as Shell, ENI, Total, ExxonMobil, Occidental Petroleum, ONGC, Saudi Aramco, Anadarko, Marathon, Rosneft, Surgutneftegaz, Gazprom, Transneft, Lukoil. The Company’s major presence in the global market is secured by the extensive sales network that covers virtually all main global oil and gas production regions: the U.S., Canada, Latin America, Russia and the CIS, Europe, the Middle East, North and Sub-Saharan Africa and South-East Asia. TMK supplies products to more than 80 countries worldwide. The Company’s shares are traded on the London Stock Exchange as well as on Russia’s MICEX-RTS trading floor. 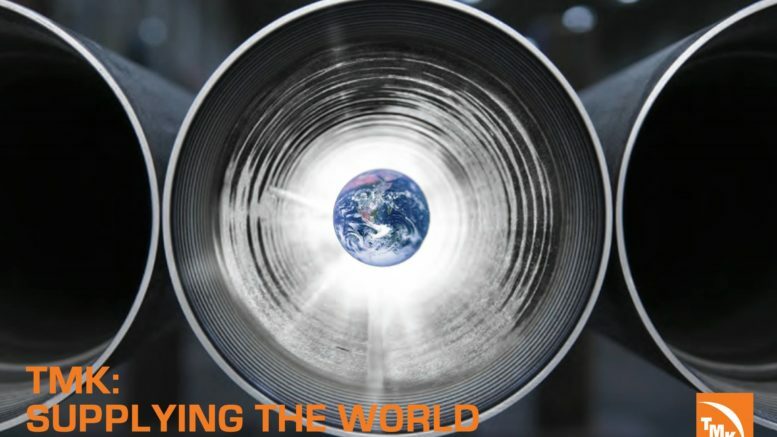 Be the first to comment on "TMK – Russia’s largest manufacturer and exporter of steel pipes"